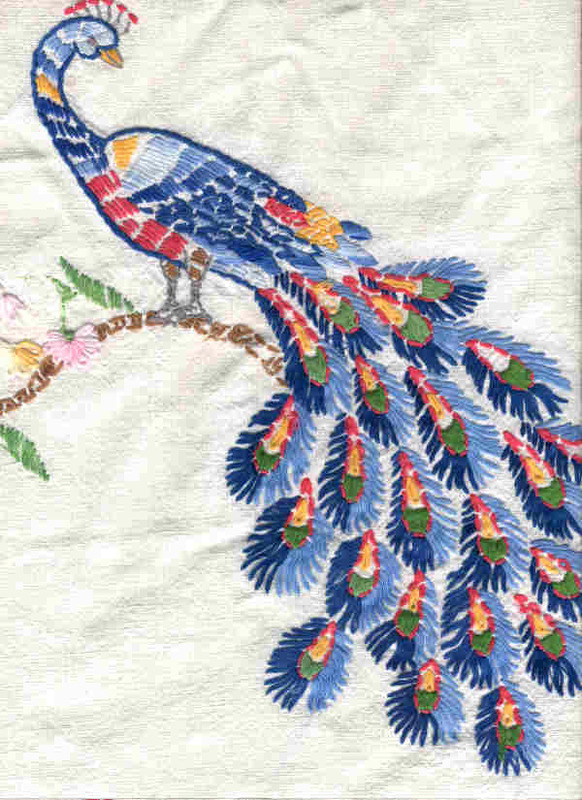 Patra's Peacock Collection - Stitched and Others. : Table runner. This is one end of a large table runner, and I have two of them, from the USA via eBay. The stitching is colourful, but it has been done using six strands of floss, which means the end result isn't as fine as it would have been if two or three strands had been used.